Paul was very nice + helpful. He was not pushy at all and got us a very comfortable payment on a super nice vehicle! WE WILL BE BACK! Easiest car buying experience I've had at a dealership. Fair deal. Thanks Gregory! Max was okay too! Darb was troublesome, but we still liker her. Thanks Quality Auto! Paul was very friendly and had great service. Quality Auto has great deals on nice vehicles. Greg was great! So creative! Sold us a nice pickup at a decent price! We love Greg! Greg was very friendly and helpful. He went out of his way to help us get into the vehicle we were looking for. We look forward to working with him in the future. Thanks Greg! Greg and Paul treated me really well. The whole buying process was a quick and easy experience. Very smooth process!! I had a good experience. Greg didn't hound me. He let me take my time and think about it. When I decided to get it, we made a quick fair deal! Thank you Greg! Came in to look for a Chevy pickup and ended up leaving in a Dodge that met all of our expectations. This is the second vehicle we have bought this year. Both experiences were great and we will be back. Shop local, good people. Ask for Greg. Excellent sales and service. Greg made the proces easy. We would definitely buy from Greg again. Thank you Greg and Thank you Quality Auto! I had a really nice experice working with Greg, he made it very easy. The experience was fun and not stressful at all. I would absolutely buy another car from Greg!! Thank you Greg, you are the MAN! Paul was AWESOME! Bought my first car from him. Super friendly and helpful! Definitely recommend him to anyone! Paul was GREAT to work with! Thank you! The easiest dealership to deal with and excellent service. I would recommend anybody to buy here! Great overall service. Sales people are upfront about price, trade etc... I would recommend Quality Auto to anyone! Very pleased with the overall process. I received everything I asked for, and more. Paul was friendly, and put me in the vehicle that I wanted. The process was quick and easy thanks to Paul! Paul was very courteous and helpful in us getting a car on the spot when we were really in a pinch. Recommend this place to anyone. Thanks. This is the second time coming back to Quality Auto. Both times we received exemplary service. We would recommend this dealership to any that are looking for honest, exceptional customer service. We were never pressured to buy anything in the past, so that is what brought us back to Paul. He is the most fair, and honest sales person I have ever met. The only thing wrong is that he is a VIKINGS fan! Even after that, it still didnt drive us away from this friendly environment. Stacey did very well with the loan process and help with service plan.. Excellent customer service! Paul goes the extra mile for you, very easy to deal with. Would recommend them to friends and family.Thanks for helping me find my dream car! I worked with Paul and it was a very quick and easy experience. He had wonderful customer service and was easy to talk to. THANKS FOR THE TRUCK! Third vehicle we have purchased from Quality Auto. Excellent service each time. Paul was great to work with. This is my second vehicle I have purchased through Paul and it was a breeze both times. I would recommend Paul and Quality Auto. Great job, Coi and Paul were very easy to work with. My brother and I both purchased vehicles from Paul recently and it was a great experience each time. Everyone is nice and goes the extra mile to get you what you need and the best possible deal. We are repeat customers and WE LOVE YOU GUYS!! Everything went really good and was fast.. It was great working with you Stacey, very easy process and very friendly..
Stacey went above and beyond to get us a car..
Fair deal, not high pressure. That is definitely something that we enjoyed. Would definitely recommend to friends and family, and would even consider doing business again! Thanks Quality Auto! Funny, friendly, and very helpful. Superb customer service! Greg was so cool. Unlike anyone else around town! They even put a sign in the car that said SOLD TO A VERY NICE LADY! The are very appreciative and take care of their customers. Thanks Quality Auto! Stacey was very good and helpful, a very cool and laid back car salesman. We will recommend him to other people..
Super friendly + helpful staff. Paul worked well with my budget and helped me find the vehicle that perfectly fit my needs. Thank you Paul, I will be back! We are very happy with our experience with Paul. He was very understanding and easy to speak with. We will recommend him to everyone! Paul was very friendly and kind. Extremely easy buying process, no pressure or hassle. Helped me get into a truck that fits my growing family! Paul was awesome throughout the whole experience he is the BOMB.COM! He is very easy to talk to, and not pushy at all. He found me exactly what I was looking for. Quality Auto got me a great deal on exactly what I wanted. I highly recommend them to anyone looking for a new vehicle.Thank you Quality Auto! Great customer service. Paul and Coi handled everything with ease. Thanks guys! Paul treated us very well. Made us feel like we were friends, and not customers. Overall a fantastic experience. We will be back to see Paul and the crew again! Stacey was very nice, understanding and enthusiastic!! Mr. Gates and the entire Quality Auto staff made the buying process easy and comfortable. This is our second truck we have bought from Paul since March, and we will be back again! Paul Gates was honest, sincere, and most of all friendly. He made my wife and I feel welcomed and wanted to work with us. Excellent experience. THANKS! Paul was very friendly and easy to talk to and made me feel welcome. Very straight forward and honest. We worked with Paul Gates (no relation to bill unfortunately). He made us a great deal on a REALLY nice truck, that worked for all of us. We truly appreciated the no pressure car buying. This was our second truck we have purchased from Quality Auto, and we will be back again. I had a great experience dealing with Paul. He was very knowledgeable and willing to help me. Very friendly and had a great personality. If you are looking for a car make sure to stop in at Quality Auto! Stacey was very helpful and everyone did very well for me. Thanks..
Great professional service. Thanks Stacey Garcia..
Great experience with Quality Auto! Paul was very friendly and helpful. Excellent customer service, so great we bought 2! We will definitely recommend him to others!! THANK YOU! This is the second vehicle i've purchased from Stacey this year. Great guy!! Paul was very knowledgeable, friendly, and very helpful. He found me a very nice car with low miles! It was exactly what I wanted!! Went way smoother than expected. The service was awesome, and I'd definitely recommend this dealership to my friends and family! The deal I got was really good. I know because I researched the vehicle before coming down! Thanks Greg! I enjoyed working with stacey he is very friendly and willing to work with customers..
Stacey and Paul were very helpful and very easy to approach and talk to. It made the car buying process easy and hassle free! To our spaniard compadre, Gracias!!! Stacey was friendly and helpful. Thanks!! STACEY WAS A VERY NICE GUY,AND WE HAD A GREAT TIME!! I was nervous when I walked in the door, and I did not have High expectations. Stacey helped me choose the right vehicle to get financed with my credit situation, He is a great guy.. Thanks!! I purchased a truck over the phone for the University of Wyoming. Stacey was very easy to work with.. I got laid off by my job and came to Quality Auto to see if they could help me get out of my truck payment that was too expensive. I initially wanted to sell it to them but I needed something to drive, so I traded it in. They gave me a very fair, and awesome deal. I got into a very nice car at a good price. 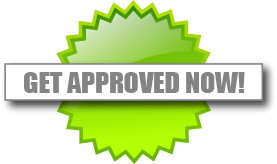 We have purchased multiple cars from Quality Auto. It is a easy and great place to buy a car. Very friendly people! GREAT SERVICE! Good people to work with, honest about the vehicle and very straight forward. Hassle free car buying experience every time! I had a great time purchasing my truck from Stacey at Quality Auto. He did a great job from start to finish.. Thanks!!! Paul was very approachable and very easy to talk to. His approach to helping me find a vehicle was top notch. Not once did I feel pressured to buy anything. I'll recommend Paul and Quality Auto to anyone. THANK YOU!! Paul was nothing short of AMAZING! Thank you so much for helping me get into a very nice truck. Great experience all the way through. Go see him! Helped me get the truck that I wanted and had awesome service. Thanks again! I had a great experience from the start to finish! I would recommend you guys to family and friends! Very helpful, friendly. They helped with keeping our children entertained throughout the process. Paul was a great help to us. Very friendly and personable throughout the whole process. He was very easy to deal with. We got a good deal and had such friendly service. Thanks Stacey for your help!! Stacey Garcia is amazing! He did everything he could to get us into our new Lincoln..
Paul and Coi treated me very well. They were respectful and efficient in getting me into my new car! It was not an all day process like at other dealers! Paul and Stacey were very respectful and helpful! Very knowledgeable. Not high pressure at all, they wanted to make sure we were comfortable with the vehicle we were purchasing. WE WILL SHOP HERE AGAIN!! Paul was very friendly and had great customer service. Helped me get into a very nice car! Thank you Paul!! Paul was very kind and helpful. He made me feel special. He found me a very nice car that was very affordable. Paul and the staff were great through every step of the way. I am truly grateful for their help. We had a great experience at Quality Auto. Thanks to everyone for being so nice.. I had a great experience the entire time working with Quality Auto. Great customer service!! Paul was a great salesperson. He was not pushy at all, he made sure we were satisfied with the vehicle we were purchasing. He was a true professional. Paul was very professional and very easy to work with. I would recommend him to everyone who is looking to buy a new vehicle. Very satisfied with choosing Quality Auto!! My wife and I had a great experience dealing with Quality Auto. Very friendly and knowledgeable. Paul sold us a very nice truck at an extremely fair price. Dustin and Laura B. / 2011 Chevy Tahoe LTZ! Greg didn't have what we were looking for, so he just went out and found us exactly what we wanted. We were so impressed with his willingness to serve. He never gave up even though we were extremely picky about what we wanted. Thank you so much for the amazing experience! Quality Auto of Casper, you will be hearing from us for many vehicles to come! Everyone did a very god job. we will be back in two months to upgrade! Magic man saves the day again! We were referred by our friend to go see Paul at Quality Auto. The whole process was a breeze. We purchased a very nice car at a great price! If you're looking for a car go see the guy who looks like superman! Paul and Michael were excellent throughout the buying process. They made our transaction an easy and enjoyable one. Paul and the staff at Quality Auto helped us out again. This is our second vehicle we have purchased from them in the past year. Fast and easy process each time! THANK YOU STACEY, AND MICHAEL FOR YOUR GREAT CUSTOMER SERVICE!!! Paul and Mike were very informative and personable. Made the buying process pleasant and hassle free. I found my self a very nice low mileage car! I highly suggest shopping with Quality Auto. This was a very smooth car deal. These guys are true professionals.. Thanks Stacey for taking such good care of me.. I'm 18 and obviously a first time buyer, and couldn't be happier about experience.. Thanks again!! Paul was very friendly and very helpful. We are new to the area and this is our first car we have purchased together. Paul helped us get a great car that was very affordable. Very much enjoyed my car buying experience! Staff went above and beyond. Great to deal with we will be back! The best car buying experience I have ever had! Great place!! they were wonderful and friendly. Made me feel welcome and comfortable. Thank You..
Had a good experience dealing with Quality Auto. Very clean offices, straight forward and honest in dealing. Very easy to deal with and great service! Paul went about and beyond to help us get into our new vehicle! HIGHLY RECOMMEND! Paul and Mike went above and beyond to help us out! We have purchased multiple vehicles from Quality Auto and have been treated more than fair every single time!! Very respectful and honest about vehicles. Very helpful. I would highly recommend Quality Auto! Needed to start over and these guys made it happen.. Great service and friendly staff. Thanks!!! Stacey did a great job! Professional as well as fun a friendly.. Would recommend! Great service and great quality vehicle! Thanks again guys! Service was excellent. Stacey was very patient and knowledgeable. Stacey was great to work with. Would recommend to anyone and will look at Quality Auto before anywhere else. We worked with Rapid city and had better customer service and trade in at Quality Auto. Thank you Stacey!! Zach and Greg are very easy to work with, great attitude and very knowledgeable, overall great experience!!! Very happy with the service!! So happy that i was able to walk out with a vehicle. Everyone was so friendly and it was entirely painless.Thank you!!! Everything was excellent. No pushy salesperson. overall great experience. Thank you Stacey Garcia for your help.. This is the 2nd car i've bought this month! Great deals and Great people. Our salesperson Paul was very kind and friendly. The whole process was quick and easy. We walked in, found a vehicle that we liked, and were out in no time. GREAT PLACE TO WORK WITH! Quality auto had great customer service!! Made my time valuable and helped me out thanks! They really worked with me to make sure I got the best car for my price range. Fantastic people. Highly recommended!! I like it!! thanks again for everything! Definitely a good experience!!! Really fast and easy!! They were great to deal with Thanks!! Thanks again guys! Im really happy about my new car! Outstanding Service! At every step Paul went the extra mile to make sure that I got the car that I wanted within my budget. Overall a great experience. I will shop with Quality Auto again! We couldn't find a deal in Sheridan and with one phone call Stacey Garcia made us a great deal over the phone. An 1 1/2 drive and 30 minutes to buy the car, we were on our way. A+ service from great people..
We have purchased multiple vehicles from Quality Auto and have been treated great each time. They always have the nicest vehicles in the area. This will not be the last vehicle we buy from them!! Paul was very professional in and courteous in dealing with us. He was upfront and honest about the vehicle. We purchased a very nice truck at a fair price! I am from Billings, MT I had a vehicle break down on me, so I was pretty much stranded. Paul Gates and the staff made me feel very comfortable and turned a bad day into a very good day! I would not hesitate to buy another vehicle from Quality Auto!! They really worked with me to make sure i got the best car for my price range. Fantastic people! Highly recommended!!! Overall a great experience working with Paul, and Quality Auto. There was no pressure when it came time to decide to purchase a vehicle. I'am from out of town and was unfamiliar with dealerships in Gillette. I made the right choice working with Quality Auto. We had a great experience! Everyone we worked with was very nice. They worked hard to get us the best deal. Thank you guys so much! Great customer service, easy process, good people. PAUL WAS GREAT!! Paul is awesome! I would recommend him and Quality Auto to anyone looking for a new vehicle! Great selection and nice vehicles! This is the second vehicle i've purchased from Quality Auto and once again everything was great!!! Paul was really nice and very helpful. He was very easy to deal with and was not pushy at all as I was buying my first vehicle. THANK YOU PAUL!! The service I received was very professional, and everyone was kind and courteous. I will be doing business with Paul and Quality Auto again! Paul was great to work with! I would recommend him any day! He was fair and willing to work with me. Great sense of humor and customer service! Paul and everyone I worked with at Quality Auto treated me very fair. They had a fair price and Paul was very nice and personable. Overall a good experience throughout the whole process. I had a great experience dealing with Quality Auto. I am from South Dakota and bought a truck over the phone. Paul was very honest and up front about the truck. It was everything that he represented it to be. Very friendly service. Greg and Bryce were awesome to work with. Fast and easy process! Finally got the jeep I've been wanting! We had a great experience at quality auto. it was really easy and the financing was very fast. Thanks again!!! Fantastic costumer service and very easy to deal with I will definitely be back again. Thanks!!! Greg and the team did an amazing job. Despite the fact that I was in a challenging situation and other dealers were unwilling to help, Greg took his time with me and showed me that he cared about what I wanted. The process was so fast, I couldn't believe it! I was literally in and out in one hour! He got me a payment that was so much lower than what I told him I wanted to pay. It was like he actually cared about my situation. Kudos to you Quality Auto! Keep up the good work! The buying process was good. The team was very friendly and answered our questions honestly. We got a fair price on our vehicle too. Thanks Quality Auto. I had a great experience at Quality Auto. Very good service from everyone I encountered! Fast friendly and very helpful. Great service! Eager to help answer all of our questions. We were very pleased with our experience! Very friendly, very respectful. I will definitely purchase from here again! HIGHLY RECOMMEND THEM! Thanks for working with me!! Very good experience. The whole process was a breeze! Paul made the process easy and painless. Overall a great car buying experience. I recommend them to anyone looking for a new vehicle. Paul was very friendly and personable. all of the staff were kind and helpful. The whole process was painless and we love our new vehicle!! THANKS QUALITY AUTO! Gregory was so professional and helpful in a difficult situation. He stayed on top of the task at hand until the job was complete! We were already nervous because of some bad experiences that we had at other dealerships. He made us feel like an honored guest in his home and we almost instantly were comfortable. I would recommend him to anyone looking to purchase a quality vehicle. He even made it a point to let me know that my dad will receive a $50 referral bonus for sending us down here, even though we were not aware of that incentive. He helped us find a vehicle that was much nicer than what we expected, and at an even lower payment than what we had asked for. Thanks Greg YOU DA MAN! Greg was easy to work with and treated us fairly. We would absolutely recommend him to a friend, and look forward to doing business again. Thanks Greg! Paul and Mike helped me get a way better interest rate than I had planned. They gave me honest advice and recommendations. They made the process as easy as possible. We had an great experience at Quality Auto. Paul and Mike had great personalities and were very easy to work with!! Paul was great! He was very friendly and easy to work with. I got a fair deal on a great truck!! Everyone was very friendly and they worked around my schedule.. Thanks!! It was so nice to be from out of state and still be treated well. Thanks so much!! These guys did a great job. Very informative car experience.. Friendly! Made buying a car super easy. Very friendly and very helpful to help me get a car!! Very friendly! Let me take the truck for a while to make sure it was the one for me. Super friendly and easy to work with. No pressure throughout the process. Overall my experience was phenomenal!!! Friendly service and reasonable prices. Very fair to deal with. Paul and the staff were very knowledgeable and helpful. Overall great experience. We had the pleasure of dealing with Paul. He was very fair on our trade-in value, and we never felt pressured into purchasing something we did not want. We highly recommend Paul, and Quality Auto. This is the 3rd vehicle we have bought from Quality Auto. They have always treated us fair! Helped us get into vehicle that fit within our budget. Great service, and the process was quick and painless. Everyone was very friendly and a pleasure to work with. Thank you! Found exactly what i was looking for. Excellent place to purchase a good quality used vehicle! I got a great deal at Quality Auto. Stacey Garcia my salesman was very good to me. I would recommend these guys to my friends..
We had a fantastic buying experience at Quality Auto.. Thanks so much!! Paul made the buying process very smooth and seamless. Great customer service; not push at all and made us comfortable in making our decision. Quality Auto is a great place to shop for a vehicle. They were extremely fair in every aspect. I will shop with them again in the future when we are looking for a new vehicle. I had a great experience shopping with Quality Auto. They were up front and honest with me every stop along the way. Paul was easy to deal with and very throughout the process.. Highly recommend the crew at Quality Auto. Very easy buying process. Had a fair price on their car, and a gave us an extremely fair trade in on our car. I HIGHLY recommend Quality Auto. Everyone is really nice and zach was attentive and is and excellent salesman!!! Wonderful staff and very easy to work with. Paul did not pressure us at all. Quality Auto is not here to sell cars, they are here to help people buy cars. Highly recommend them. The first sales rep Max from Gillette let me take the truck at 5:30pm and stayed until 7:00pm so I could allow my mechanic to go through the truck. He knew he wouldn't make the commission but stayed way past closing for me. I'm sure this would never happen at a big dealer. Greg called me just after they opened the following morning to go over trade value and gave me what I needed for my truck, funny, and friendly. Buying process took a long while, but I understand they were training a new gal, so it's to be expected. The lot and office are clean and tidy, but really small. I was told they are getting ready to move to a larger establishment though, so that will fix the issue. Greg took excellent care of me. The process was short and the experience was the best I've had at a dealer! Thank you Quality Auto! Very fair, courteous, and professional. Greg was a great guy to do business with. Great experience overall. Plan to do business many times over. We bought 4 cars this time around and we feel great about all of them. Best used car lot in Casper and we went everywhere! Thank you Greg! Thank you it was super easy and helped out!!! Paul is very friendly, knowledgeable and professional sale associate. Quality Auto is a very easy place to do business with. GREAT PLACE TO BUY A CAR! Came in and talked to zach right away and told them what I wanted and got it. Thanks again!!! I cant say enough about the service my husband and I received. You were able to give us the automobile we needed that no one else could do. You are truly the last of the honest and professional business people we have met. I would recommend you to anyone anywhere. If you need a good quality vehicle this is the place for you! They do what they say they will do. Thank you so very much for helping us! "Quality Cars, at a Quality Price" Quality auto lives up to their motto. They gave me a fair deal on a extremely nice car. This is my third vehicle I have bought with them, and I will continue to shop with them in the future. Zach met us at the door and got us on a test drive right away and we found the truck we were looking for it was very fast and easy and he got us in and out really fast. Thanks again!!! Good service, good cars and friendly people. Thanks again!! Friendly, fast, and helpful service. Did not push us into something we did not want to do. If you are looking for a new vehicle, give Quality Auto a chance to earn you business. Thank you Quality Auto for being patient with us, and finding a vehicle that fits best for our family and budget. Paul Gates was courteous, competent and professional. I appreciated his work ethic. He was helpful without being pushy. Coi is doing a great job with Quality Auto!!! Paul and the staff were nice, and very easy to deal with. I am new to Gillette and found out the buying experience was a piece of cake! The staff at Quality Auto is full of knowledgeable and helpful staff. They were honest with me every step of the way. They had a fair price on their truck, and gave me a fair trade-in value on my vehicle. WE RECEIVED EXCELLENT SERVICE FROM STACEY GARCIA OUR SALESMAN AND THE ENTIRE STAFF AT QUALITY AUTO.. ABOVE AND BEYOND!!! WE WILL BE BACK!!! QUALITY HOMETOWN SERVICE!!! GREAT CAR BUYING EXPERIENCE AT QUALITY AUTO.. ASK FOR STACEY GARCIA HE IS THE MAN!! THANKS TO MY SALESMAN STACEY GARCIA AND THE ENTIRE STAFF AT QUALITY AUTO FOR THEIR GREAT CUSTOMER SERVICE.. In and out. No problems!!! I would recommend Quality Auto to anyone looking to buy a used vehicle.. I bought an Traverse that after purchase had a bad ac switch.. They covered the repair without any resistance.. They stand behind their vehicles!! Thank you Stacey Garcia for all your help. I believe that quality auto has the best quality service we always leave happy and they get the job done as soon as possible!!! Excellent experience. Respectable service and professionalism. I highly recommend Quality Auto to anyone looking for a new vehicle. Quality Auto is a great place to buy a vehicle, this is our second vehicle that we have purchased from them. I would recommend them to anyone looking for a new vehicle. Paul and the staff at Quality Auto were very helpful in our search for a new vehicle. They had a great selection of vehicles for my us to choose from. I will buy from them again when I am in need of a new vehicle! When I came in, I didn't have to wait for help and we found a car right away! The windshield was cracked and they fixed it right before I took the car. I am super excited!!! Had a great time buying my car. Coy and Stacey were great help with purchasing the vehicle and helping me get the best rate possible on it. Thanks team. AWESOME EXPERIENCE!! Friendly service, Paul went above and beyond the call of duty. I will buy here again. 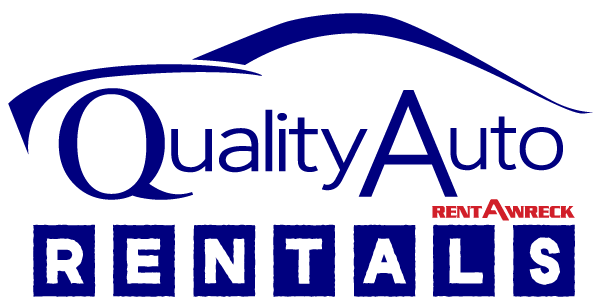 We had a wonderful experience buying our son's new car from Quality Auto. Paul and Stacey were terrific in helping us pick out an SUV that was in our budget. We are all thrilled at our purchase, my son especially!!! Everything was done with professionalism including phone calls, paperwork and financing. Thank you for the great experience! IT WAS A GREAT EXPERIENCE. VERY FRIENDLY AND KNOWLEDGEABLE STAFF.. THANKS STACEY GARCIA FOR YOUR GREAT CUSTOMER SERVICE!! Special thanks to Michael and Stacey for taking great care of me.. I will buy at Quality Auto from here on out.. These sales people are not pushy. They are efficient. Very helpful and kind!!! All of them had good humor!! i will be back!!! THANKS!!!! Mike is the bomb.com!!!! He knows his stuff and I would buy from him again!!! A great place to purchase vehicles!!! Paul was a joy to work with! From now on I only want to do business with Quality Auto and their team from here on out for all my car buying needs. Paul showed no pressure and gave me productive advise to make the best decision for me and my family. The team at Quality Auto made my buying experience great!! HAD A FUN EASY CAR BUYING EXPERIENCE WITH QUALITY AUTO. THANKS TO STACEY GARCIA FOR THE GREAT CUSTOMER SERVICE.. I stopped by to check out newer pickups. Paul came and helped me out. I was not planning on trading but I feel I was given a good deal on a nice clean truck that will last me for years to come. Paul and the staff gave me great service. Extremely easy and low pressure car buying experience. EVERYTHING WAS GREAT! WE CALLED LOOKING FOR A SPECIFIC VEHICLE AND STACEY GARCIA FOUND IT THAT DAY.. THANKS SO MUCH!! Quality Auto was a pleasure doing business with. Extremely fair priced and excellent customer service. BEST PRICES IN GILLETTE!!! I will definitely come back to buy my next vehicle. I was running some errands on a Saturday not really looking to buy a vehicle but I happened upon Quality Auto, so I stopped in. I was greeted right away but a nice sales rep named Paul. I was looking for a car for my son or daughter. Paul showed me the options that were available that would fit my wants and needs. I found a car that was a great fit, and a great deal. The people at Quality Auto are a class act. Thank you Paul and thank you Quality Auto. Zach was very helpful and kind. Answered all of my questions, helped me make the best decision for me. Everyone here at Quality Auto is amazing. Thank you all so much. I will love my new car!!! Stacey my salesman was very informative, very low pressure, and i had a great experience all the way around.. thanks. Paul was extremely helpful and extremely patient. He made my car buying experience a pleasure and I would definitely buy from him and Quality Auto again. Very accommodating and friendly service. Were willing to work with me and my busy schedule. I loved that they were not pushy at all. Very fun and stress free car buying experience. GO SEE THESE GUYS!! I had a great experience at quality auto. I am super happy i could find exactly what i was looking for.. StaCey Garcias' customers service was amazing, this was way easier than my last car buying experince.. THANKS!!! QUALITY AUTO IS THE ONLY PLACE IN GILLETTE I WILL SHOP FOR A VEHICLE.. I AM TREATED FAIRLY EVERY TIME.. MY SALESMAN STACEY GARCIA I HAVE KNOWN FOR 20 YEARS AND WOULD RECOMMEND HIM TO ANYONE LOOKING FOR A VEHICLE.. GREAT WORK TO ALL AND THANKS AGAIN.. I LOVE YOU GUYS!!! THANKS STACEY AND MICHAEL FOR THE GREAT DEAL!! WANT TO GET TREATED LIKE A REAL PERSON? SHOP QUALITY AUTO IN GILLETTE. STACEY WAS VERY PERSONABLE AND THE DEAL WENT JUST HOW IT SHOULD. EASY.. I'LL BE BACK..
Paul and the staff were very helpful in helping me purchase my new vehicle. They were fair in dealing with me and helping me get the vehicle that I wanted within my budget. Would recommend Quality Auto to anyone who is out there looking for a new vehicle!! ENJOYED MY TIME HERE AT QUALITY AUTO, FELT LIKE I GOT A GREAT DEAL.. THANKS STACEY GARCIA FOR YOUR HELP.. CAR BUYING MADE EASY, BY QUALITY AUTO.. THANKS STACEY FOR YOUR HELP. Zach was friendly, and on the ball, he asked us what we wanted and not talked into something we didn't want. He was very down to earth and the staff was great. They worked for what was in out best interest!!! Very friendly service and helpful in explaining what was needed and what was offered. Will buy from here again. Quality Auto worked very hard to help my boyfriend and I buy our car and get it financed. Paul Gates did a great job! Highly recommend them! GREAT PEOPLE!! The staff down at Quality Auto was extremely helpful in getting me the vehicle that I wanted, and fitting it in my budget. Paul was extremely helpful and knowledgeable. Would recommend them to anyone out there looking for a vehicle. This is the second vehicle that I have bought from them within a year. I look forward to doing business with them in the future! WE HAD A WONDERFUL EXPERIENCE AT QUALITY AUTO.. STACEY OUR SALESMAN GOT EVERYTHING DONE OVER THE PHONE FOR US WHICH SAVED US SO MUCH TIME.. BEST CAR BUYING EXPERIENCE WE'VE HAD..
STACEY GARCIA DID A WONDERFUL JOB.. IT WAS QUICK AND EVERYTHING WAS EXPLAINED VERY WELL! Zach was amazing, answered all my questions and felt like he really wanted to help. I have been without a good car for a long time and he helped me get in to a awesome car. Thank you Zach you were awesome!!! I love my new car and was treated wonderfully. It was fast and easy. Thanks!!! Had a great time! Zach was very helpful over the phone and in person!!! I saw the ad in Auto Trader and went in to take a look at the car. I was treated very well and they answered all my questions and put me into the right car that I could afford. Paul was very informative and very friendly. I would buy another car from them anytime. MY EXPERIENCE WITH QUALITY AUTO WAS QUICK AND EASY.. THE FACT THAT THEY HAD THE PRICES ON THE VEHICLES WAS WHAT I LIKED. OUR SALESMAN STACEY GARCIA WAS VERY EASY TO WORK WITH. THANKS QUALITY AUTO! Zach was impressive, he went out of his way to help, very impressive. Thank you!!! Quick service, I got exactly what I came for!! Everything was wonderful! Stacey Garcia my salesman got me financed when every other dealership i tried just looked at me like i couldn't buy anything.. Thanks Quality auto for KEEPING IT REAL!! We have been looking for a truck for sometime now. Quality Auto and Paul did a great job on there pricing and had a very nice truck. There business and professionalism was appreciated!! THESE GUYS TREATED ME AMAZING.. THANKS TO STACEY MY SALESMAN FOR BEING SO PATIENT WITH ME.. I'LL BE BACK.. I went to Quality Auto too look at a pickup that I was told about. The salesman here are excellent. Not pushing me towards something else that I wasn't interested in. They gave me an accurate description of the truck that I was looking at, and it was everything that they had represented it as. The price i felt was very fair, no pressure and they went beyond expectations too get me in the truck. All the staff here is excellent. I will be doing future business with them, and will recommend them to friends and family. These guys are fair and easy to work with! Zach is willing to do the extra work to help find what the customer wants no matter what you're spending. Thank You!!! My experience with Zach at quality auto was amazing he did not pressure me or try to push me away quality auto is the best auto dealer. I will refer Zach to all my friends and family. Today I came in and they treated me like family and didn't want to see how much money I wanted to spend!! 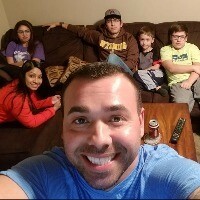 MY EXPERIENCE WITH STACEY GARCIA OUR SALES MAN WAS GREAT. VERY SMOOTH CAR BUYING EXPERIENCE. I WILL BE REFERRING MY FRIENDS..
Zach Gross and Mike at quality auto gave me an incredible experience. They gave me an awesome deal on a 2012 GMC Sierra. They were friendly and willing to deal. Thanks again!!! Quality Auto treated us really well. They went over and above what they had to do. Paul and Mike were great, as were the office staff. Great car buying experience. Buying made easy by Stacey Garcia!!! I walked in with 0 expectations and got into a beautiful ride.. The fastest and best car buying experience i've ever had.. Thanks to my salesman Stacey, he made magic happen! I will be sending people his way..
i APPRECIATED THE LEVEL OF SERVICE THAT I RECEIVED FROM MY SALESMAN STACEY GARCIA.. I NORMALLY HATE BUYING VEHICLES BUT, I ENJOYED MY EXPERIENCE AT QUALITY AUTO.. THANKS FOR EVERYTHING.. The customer service at Quality Auto is in a word "OUTSTANDING". I have been to 4 other dealerships in town. Quality Auto's selection was amazing. they had numerous vehicles for me to drive, all of them were what I was looking for so it gave me many options. They are down to earth, honest and not at all pushy. What a great group of professionals. I will be back for any future vehicle purchases. Great team!! Thank you so much for the great service. I absolutely love my car. Zach did an amazing job!! Zach was very professional, he provided excellent service and was very friendly. Was very helpful!!! Paul was great. He sold me a 2006 Ford Fusion. We had a few road blocks due to me not having any credit, but as they call him, he certainly is a magician. Thanks Paul you're awesome! STACEY OUR SALESMAN WAS UNLIKE ANY OTHER WE HAVE DELT WITH.. VERY DOWN TO EARTH AND WE APPRECIATE THAT SO MUCH..WHAT A PAINLESS CAR BUYING EXPERIENCE ! WE WILL BE BACK TO DO BUSINESS AGAIN.. DID I MENTION WE BOUGHT TWO TODAY!!! THANKS !!! fast service, friendly people, we are from texas and not used to the ease of purchasing a vehicle like we had at quality auto.. Special thanks to Stacey our salesman, he was great!! Very kind and friendly service. Was eager to help me find a quality used vehicle! Zach was amazing to work with. I will defiantly purchase from Quality Auto in the future. Thank you for all your hard work! I'm really happy with the customer service, Zach got me into a vehicle with no problems. He was knowledgeable and helped me get a good car!!! Zach did a great job getting me financed and set up in my car. Thank you!!! Sale went good. Was straight forward!! Zach was amazing, done an awesome job was very personable and did everything he could to get me in our car. Very nice salesman will send other people to you guys!!! STACEY GARCIA MY SALESMAN WAS AWESOME. HE WAS ALWAYS AVAILABLE TO ANSWER MY PHONE CALLS ,AND VERY HELPFUL. MICHAEL WAS WILLING TO MAKE SURE I LEFT A VERY HAPPY CUSTOMER.. THANKS A TON GUYS! We had excellent customer service. Our salesman Stacey was polite and courteous and helpful!!! First TIME I HAVE EVER BOUGHT A CAR IN GILLETTE!! We are very satisfied. We are actually shocked they advertised prices!!! Might have helped with the purchase!! Go quality auto!!! Everyone was very courteous and helpful. Zach did a great job with the financing it was quick and painless. Love the car. Thank you!!! Great service, made me feel confident in my purchase. Worked with me to make a really good deal!! Excellent service!!! Zach Gross was knowledgeable. Process was smooth and effortless. Well buy from Quality Auto again!!! Called Zach on the phone and told him I was looking for a good, reliable vehicle for under 5,000. When I arrived at Quality Auto he was courteous and professional, with three cars waiting for me to look at. My situation in life is rough right now and Zach found a perfect car for me within a hour. Kudos!!! Fast, easy, friendly, awesome to deal with and found me the truck I wanted. Will come back down the road!!! Thank you very much for the friendly efficient service. Zach was very helpful, him and Trudy went above and beyond to make our experience a great one, the were very polite and energetic there service was appreciated. I wasn't able to get financed anywhere else in town, and these guys made it happen. Special thanks to my salesman Stacey Garcia for treating me like a real person.. He was able to get me financed with little money down and into a low mile NICE Honda Accord. The finance ladies were wonderful. I'll be back!! It was fun. It was definitely a good way to spend a half a day off!! Mr. Mike was totally fabtabulous!! I got what I wanted at a reasonable price. We will definitely be back!! I was happy with the selection of vehicles. With Zach's help I was able to test drive a variety before selecting the car right for me!!! It was fun, low pressure, they got me into the car I was comfortable with and needed. Zach was really helpful and will continue to do business here!!! Quality Auto went over and above for me. They made my auto deal painless. I would recommend anyone looking for a new vehicle to give Quality Auto a chance. Never in my life have I had such awesome service. And I am leaving thinking that I got the better deal!! We will be back and make sure we send everybody we know to QUALITY AUTO!!! Thanks MIKE & Zach!!! This is the second vehicle we purchased from Quality Auto!! Customer service is always great and Mike is always a blast to work with!! Thanks so much for the nice truck and we will be back!! This is the second vehicle i've bought at Quality Auto and I suggest them to anyone looking for a vehicle. This is the 4th vehicle we have purchased from Michael! We came back because of Michael's amazing personality and very fair and easy to deal with!!! We love the vehicle and would recommend to everybody who would want to purchase a vehicle to go to Quality Auto!!!! Stacey was involved in this purchase was a gentlemen as always!! THANKS GUYS WE WILL BE BACK!!! I got a truck and a history lesson. I like the truck and who doesn't love history!! Mike and Stacey were great and easy to deal with!! I will be back and I"m only 16!! True story! Next time it will be a manual!! Great place to buy! They were very patient and the customer's needs were their concern and tried to take care of us to the best of their abilities. It is a good truck and I got a GREAT DEAL!! If I ever need another vehicle I will be back!! We had a great car buying experience at Quality Auto. The personality of Our salesman Stacey Garcia a long with the entire staff took the stress out of shopping. We were treated very fairly, and we'll be back.. If you're looking for a vehicle we would suggest shopping Quality Auto. I had a good experience. Fast and friendly service. Great place to buy cars. Had a great experience. No pressure. Good prices. Love the car. We will be back and send others to you! Thanks again!! It was a great experience. We worked with Stacey Garcia and he was awesome! We recommended them to our brother and sister in Casper!!! A great place to deal and we will be back and I HIGHLY RECOMMEND YOU WORK WITH STACEY!! My salesman was awesome, the truck was awesome, Quality Auto is awesome. Super easy to deal with, no pressure, great prices. I will be sending people their way! Thanks for the SUPER AWESOME TRUCK!!! I know Coi and been friends with him for years and he did me good on this deal. He is my friend and if he didn't I know where he lives!! A great place to deal!!! They held the truck for me until I could get there to finalize a deal. Great people and easy to deal with. I would recommend them to anyone when it comes to buying a car!! Everyone at Quality auto was easy to work with and they made everything happen fast and easy for me.. When I purchase my next vehicle, I will be back to see these guys for sure!! These guys were so easy to work with. Stacey Garcia our salesman was low pressure and we LOVED that. They were willing to work with us on our level.. We will definitely come back to Quality Auto for our next purchase!! Great place to buy vehicles!! I had a great experience dealing with quality auto. Thanks to Stacey Garcia our salesman for going the extra mile. I would recommend Quality Auto to anyone looking to purchase a vehicle.. I found the Toyota Tundra that I was looking for at Quality Auto. The process was quick and painless. The service they provided was just like there name quality. Zach and Mike treated us with respect and great professionalism. Hello, I would like more information about the 2017 Nissan Titan, stock# C02046. Hello, I would like to see more pictures of the 2017 Nissan Titan, stock# C02046. Ready to drive this 2017 Nissan Titan? Let us know below when you are coming in, and we'll get it ready for you. Enter your information below to see a free Vehicle History Report now!